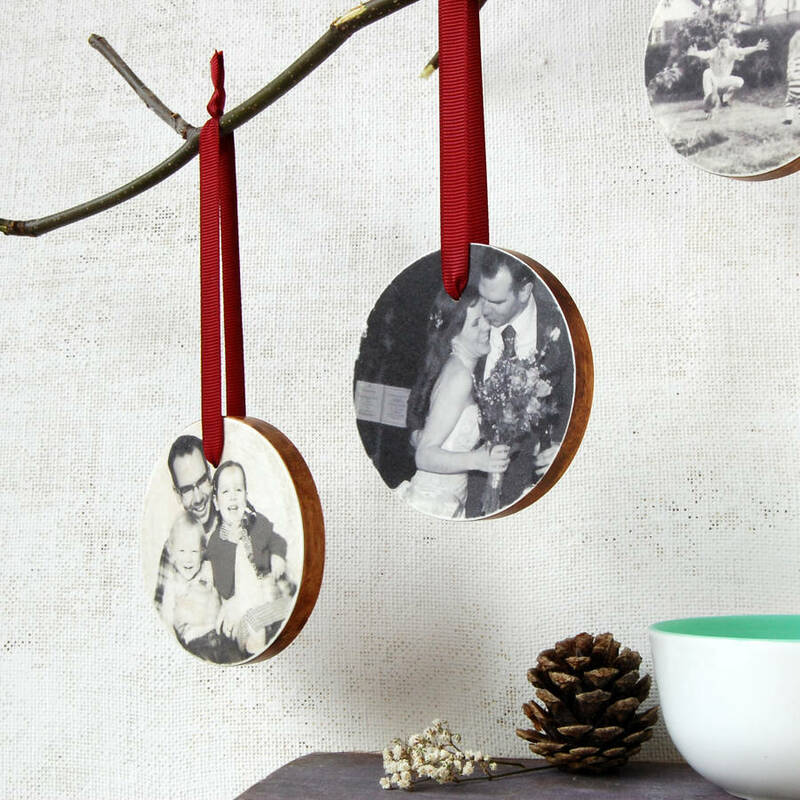 Capture a perfect family moment with this incredibly personal and nostalgic personalised family photograph decoration. A beautiful heirloom in the making. 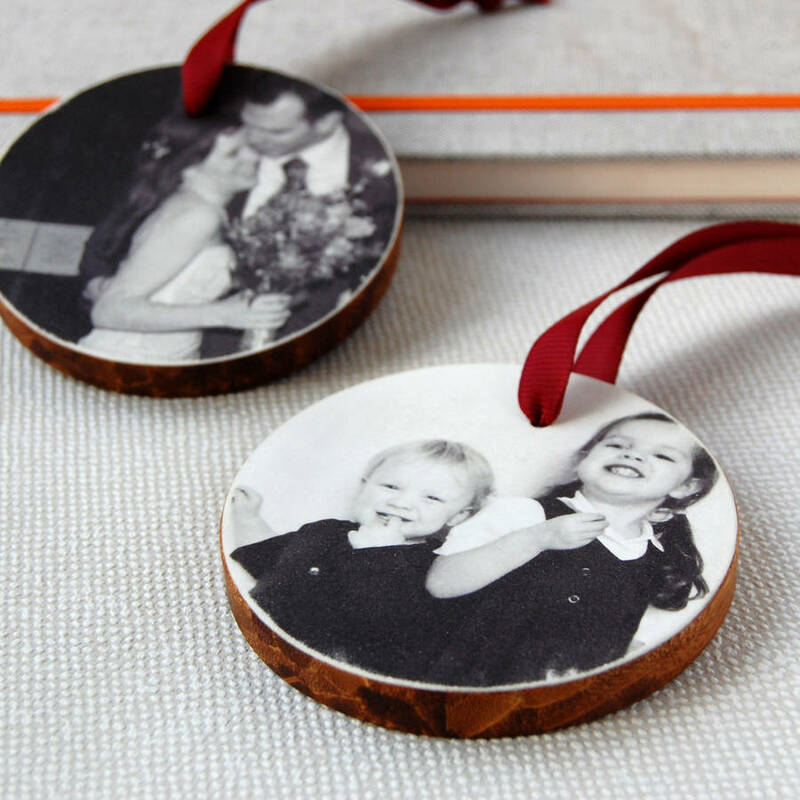 This wooden photo bauble is completely handmade from luxury bamboo wood and your own photograph. 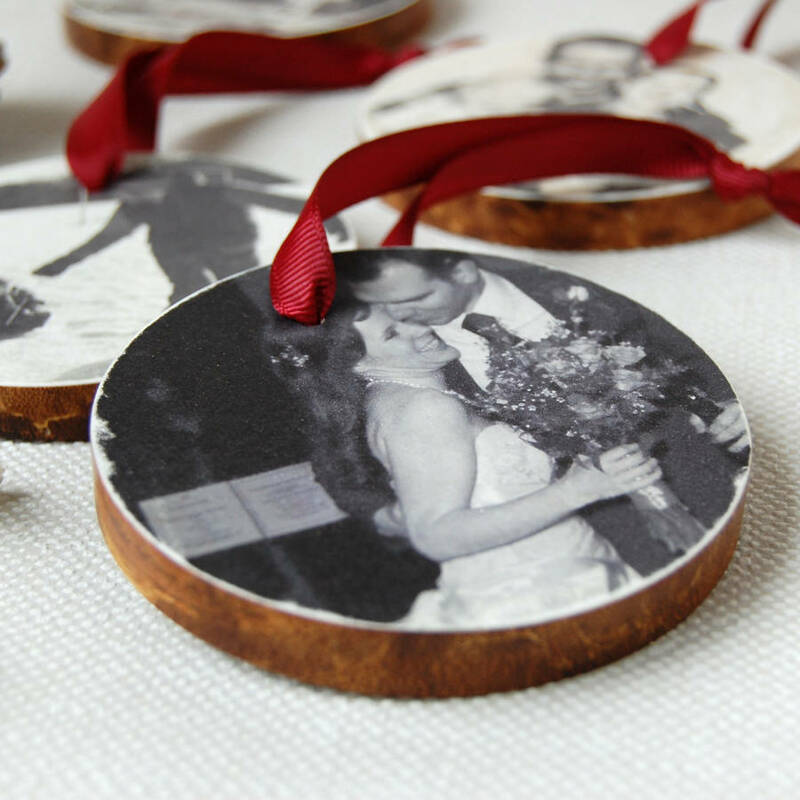 We transform your photograph into a beautiful 8cm vintage-style keepsake. 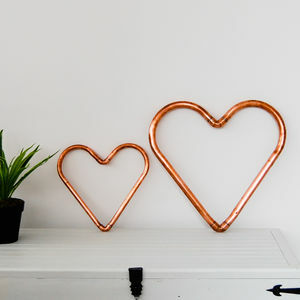 It's the perfect thing to give your home a less ordinary feel. 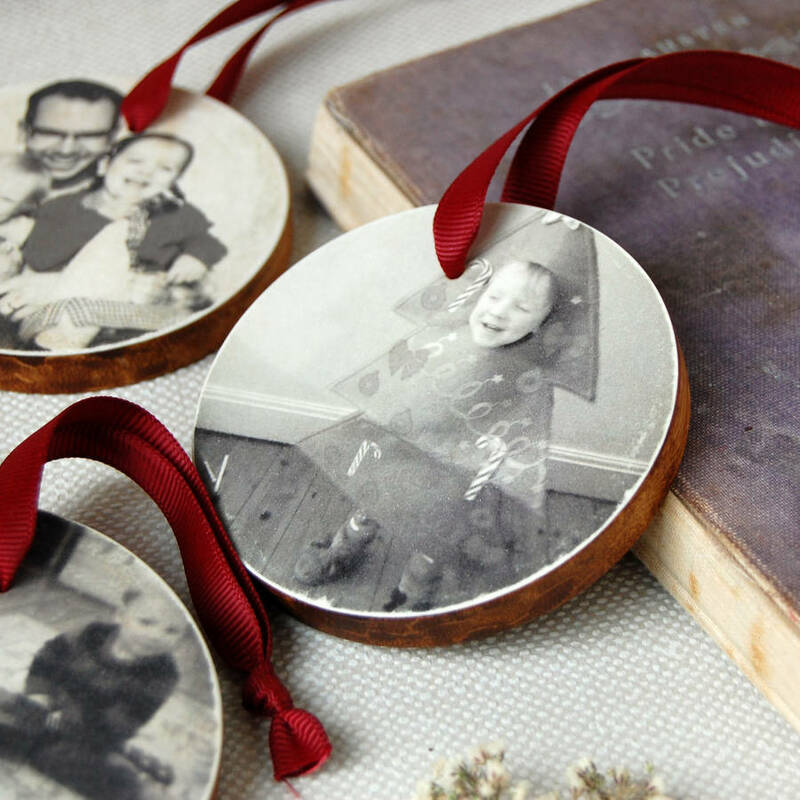 All photographs are printed in soft vintage-style black and white for a beautiful finish and a nostalgic feel. 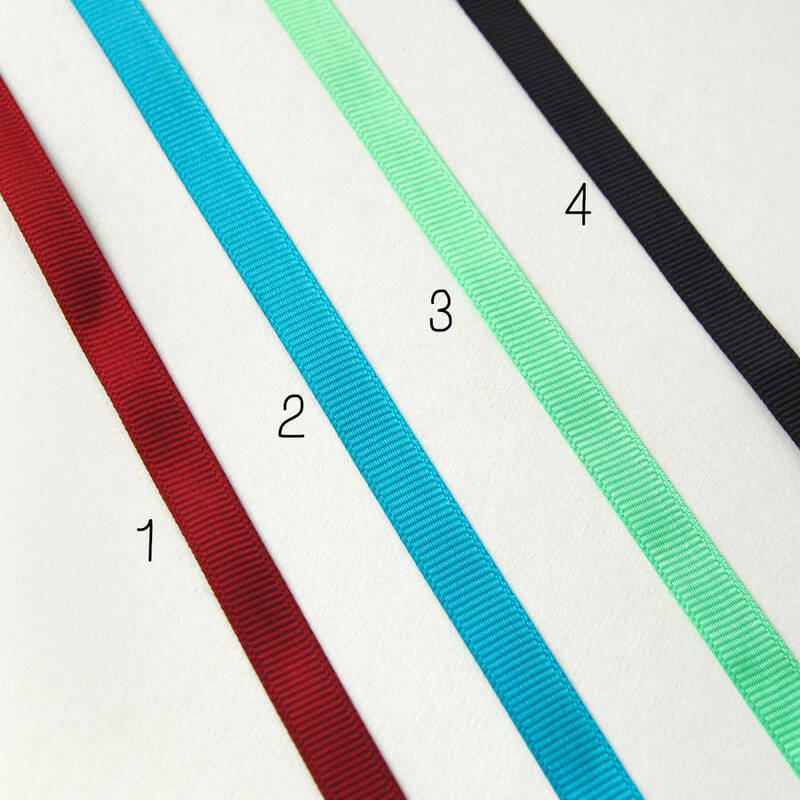 You can choose from our range of ribbons to hang from. 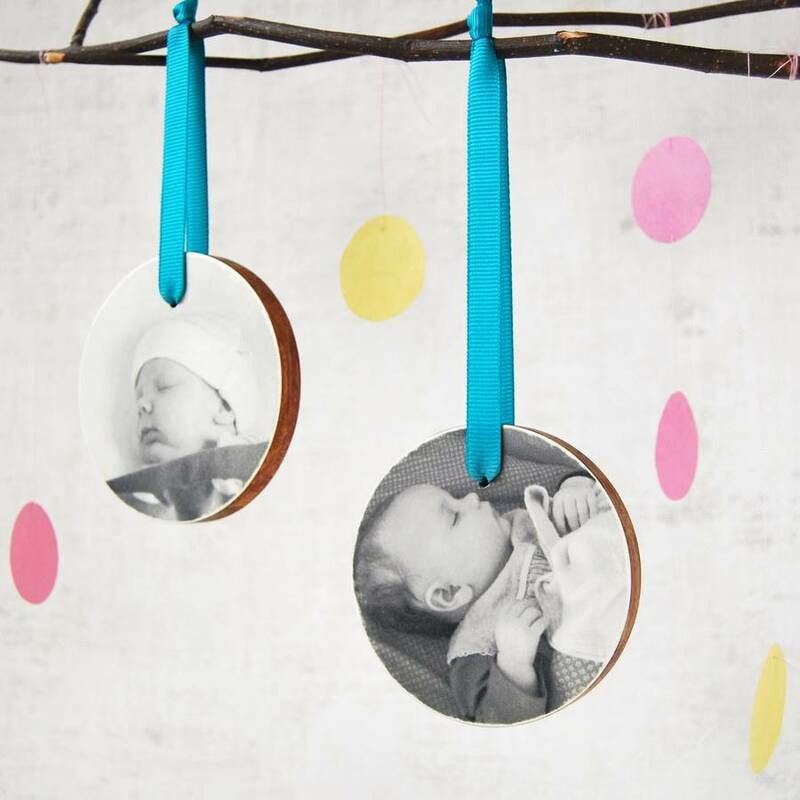 This decoration is a great gift for new parents, newlyweds, anniversaries, and for Christmas. 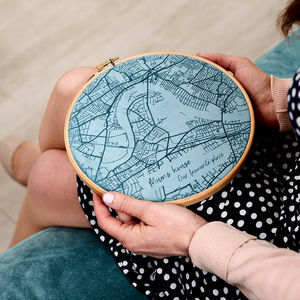 Because it's personal to you, you can really make a thoughtful and meaningful gift. 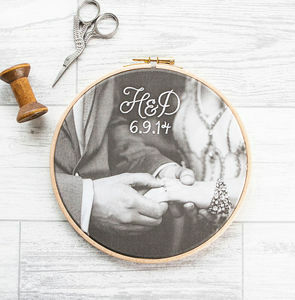 Once you have made your order we will send you full instructions on sending your photograph to us. It will need to work as a square image (for example an instagram photo). We find that the best images are ones that capture a snapshot into everyday life rather than posed portrait style images, but of course the choice is yours. 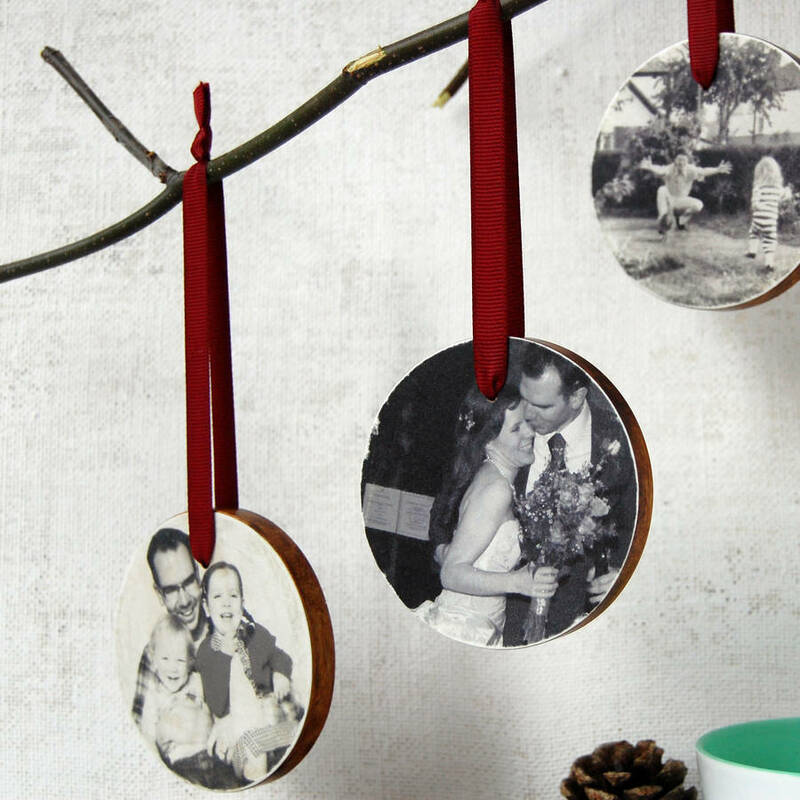 Made in the UK, each bauble is completely personalised by hand. 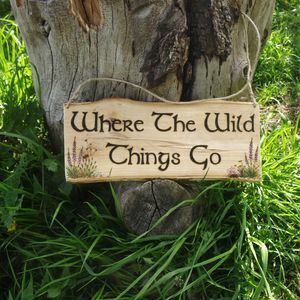 The wood is treated with natural oils and locally made beeswax. No two baubles will look the same, each has it's own individual wood grain and natural flaws. 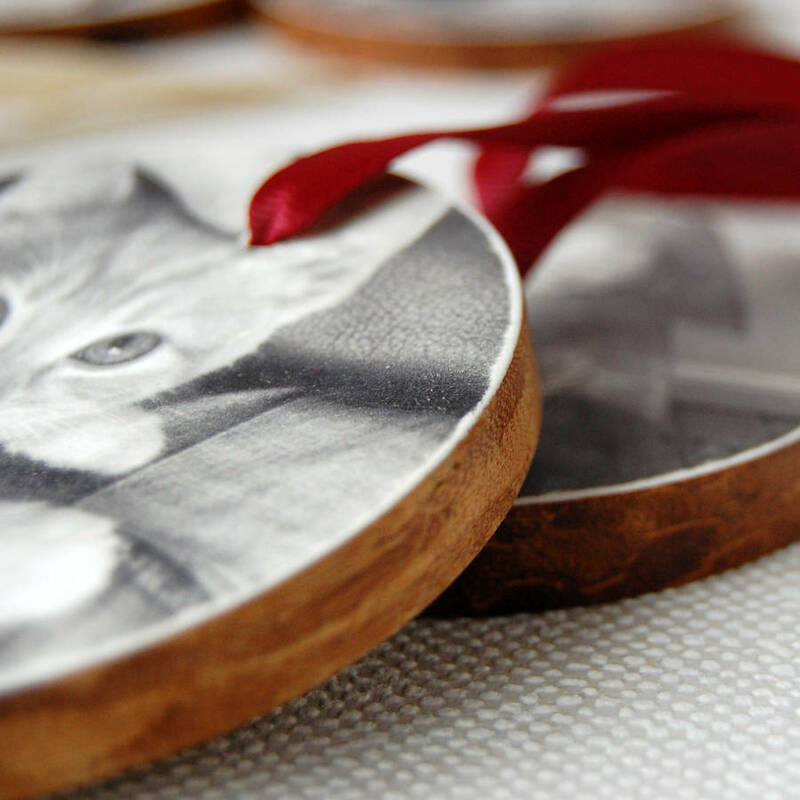 These qualities all contribute to the charm and truly unique nature of the keepsake. Beautiful and simple, they will be treasured for many years, and being made from bamboo they will create such a talking point. Bamboo is a hard wood that looks very similar to teak, and feels exceptionally soft and smooth to touch. It's very luxurious, ethically produced and is completely carbon neutral. 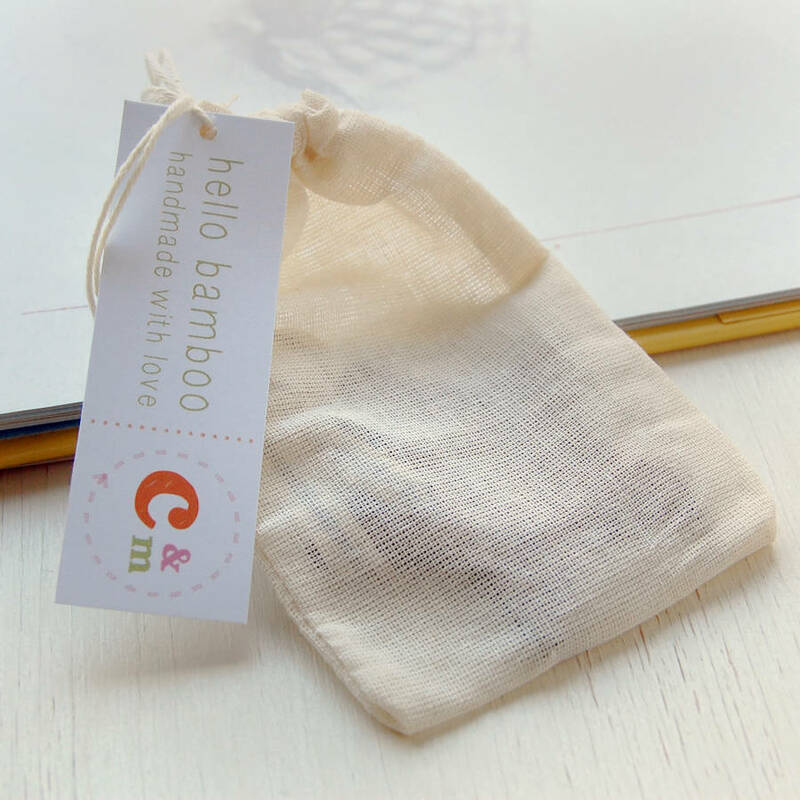 Your bauble will each come packaged in a natural 100% cotton bag with an information card. 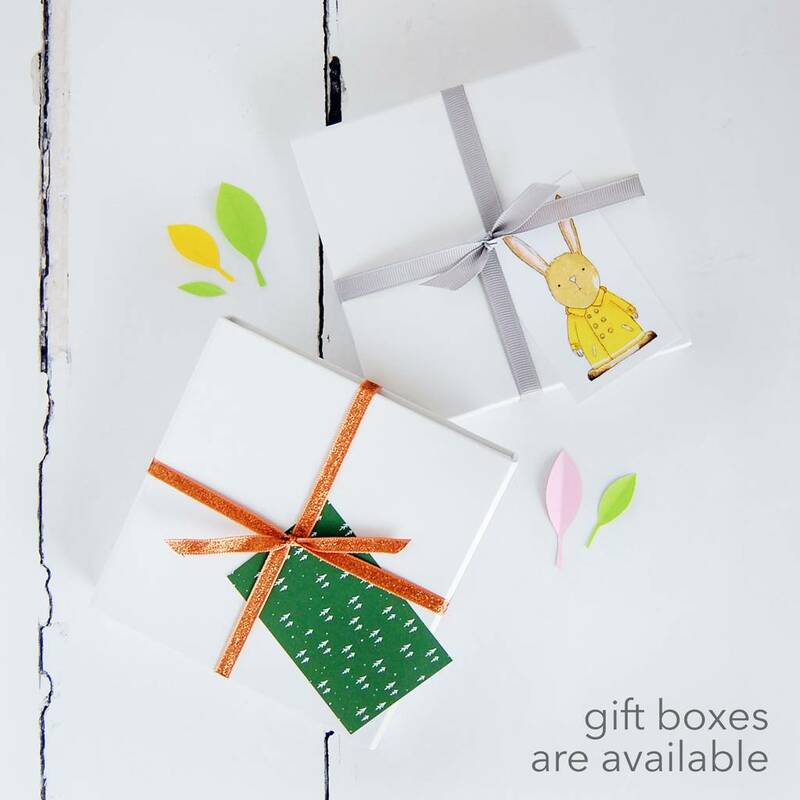 Gift boxes are also available for a small charge. 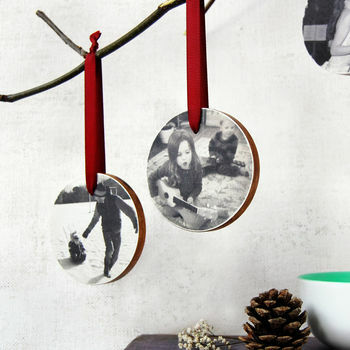 Each bauble is made from sustainable bamboo wood with a ribbon hanger. It is treated with natural oils, locally made beeswax and can be gently polished. Comes packaged in a 100% cotton bag. 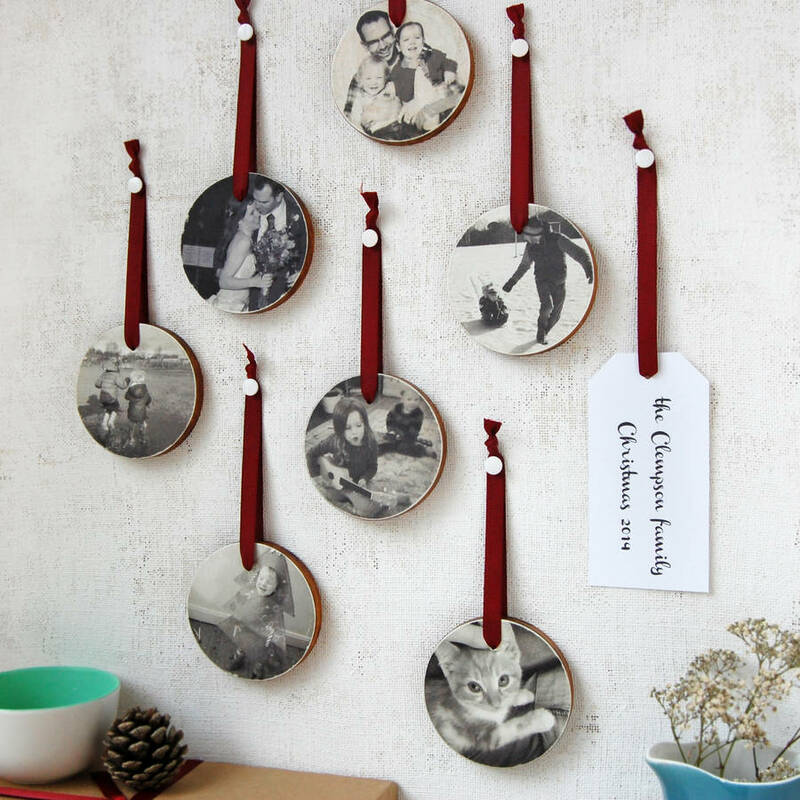 Each Christmas decoration is 8cm wide and 1cm thick.